Terms for each representative is for 3 years, as outlined in the current bylaws. The representatives should have staggered terms. A year prior to the end date, a new representative should be identified. It is strongly preferred that one of the two representatives be a current fellowship program director. Serve as a communication vector to and from your subspecialty member associations and societies and the Council. Within subspecialties it will be important to establish (with the assistance of management) updated email lists of key leaders of associations and societies. It is expected that communication to individual subspecialists will be accomplished by the various associations and societies. All communication must be timely and thorough. 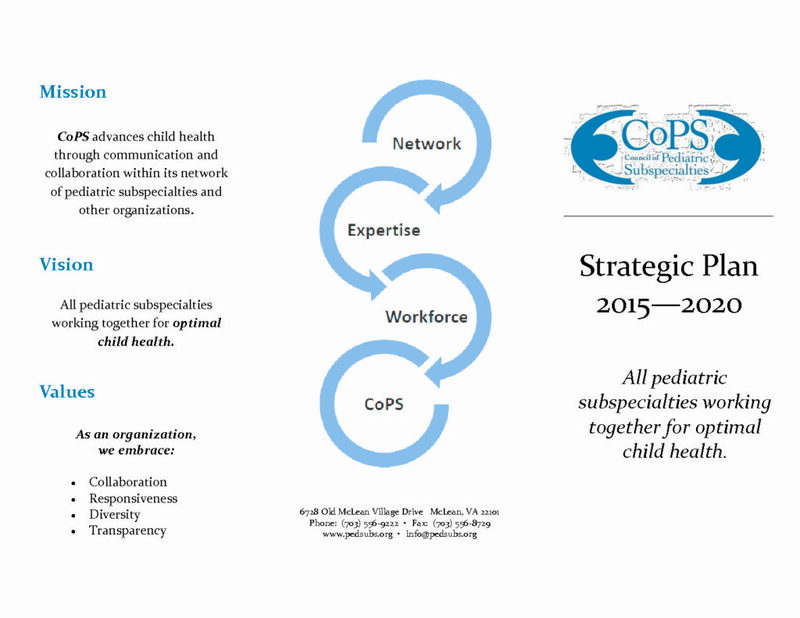 Collaborate strongly with the other representative of your subspecialty regarding issues of importance to CoPS and your subspecialty. Be available for conference calls and meetings as called by CoPS and its working groups. Conference calls may take place as frequently as once a month for regular communication and more frequently for ad hoc issues. Provide links to expertise and resources within your subspecialty associations and societies for the projects spearheaded by the Council. Vote in a timely fashion by presence, phone, mail or electronic means as needed on council issues. Be responsible for communicating policies by the Council and providing oversight for the compliance with such policies. 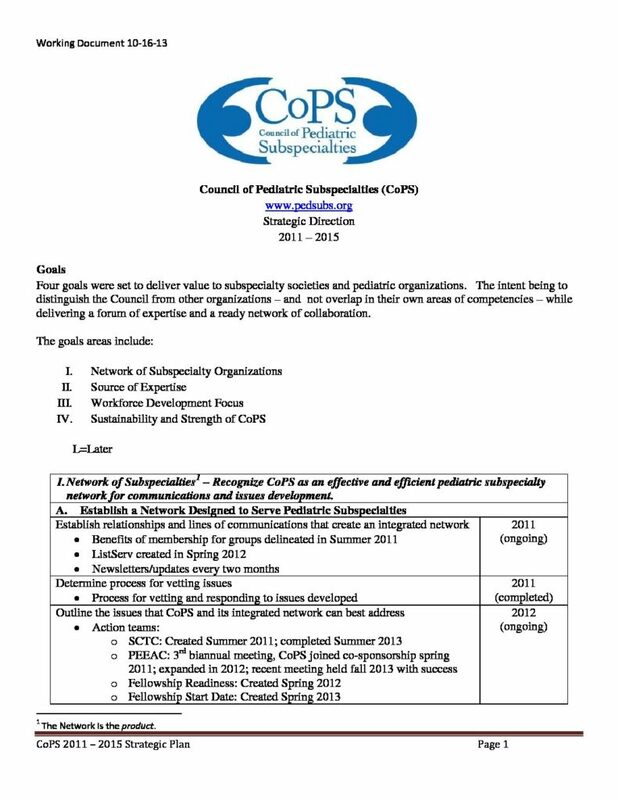 For example, representatives would be responsible for following up with associations and societies within the subspecialty if CoPS were to establish annual dues. Communicate effectively with training program directors and existing program director organizations in your specialty.